This worksheet set is extremely useful to teach students in Middle School and High school Classroom Commands. The vocabulary list with 12 commands and a work bank will allow you to teach them 12 basic expressions that they can use easily. 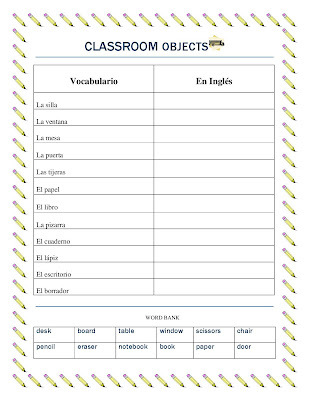 In addition the second worksheet will allow them to review Classroom objects. Students can use a dictionary or their word bank to fill both pages. Once the vocabulary has been introduced students will use both pages to write their own commands. They can write individually or in small groups. They can present them to the class. This interactive package will satisfy Communication standards 1.1 where students produce information in the target language and 1.22 where they understand and interpret spoken language. 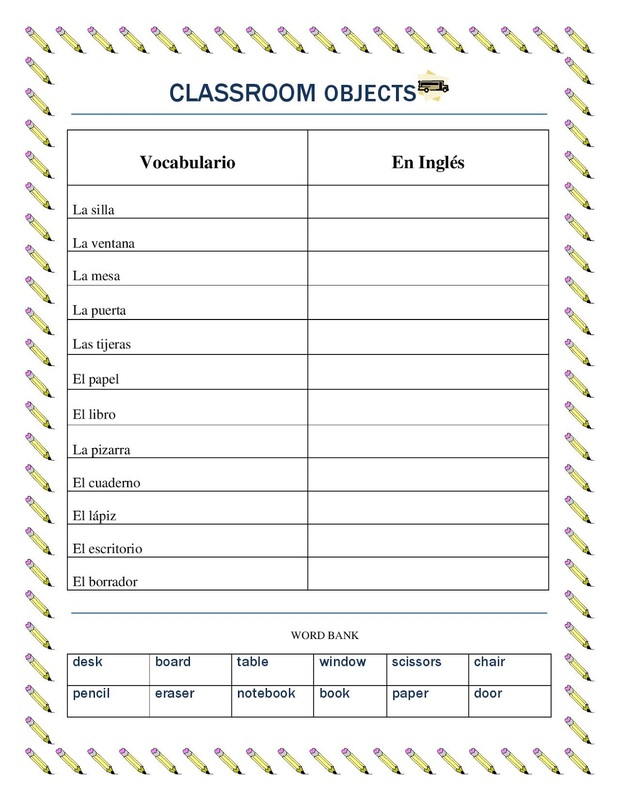 One student can read the commands in Spanish and have the others perform them. it is quiet an entertaining an engaging activity. The vocabulary worksheet can be used for assessments and the command performance can give you a listening comprehension assessment grade. Enjoy these entertaining and engaging package.